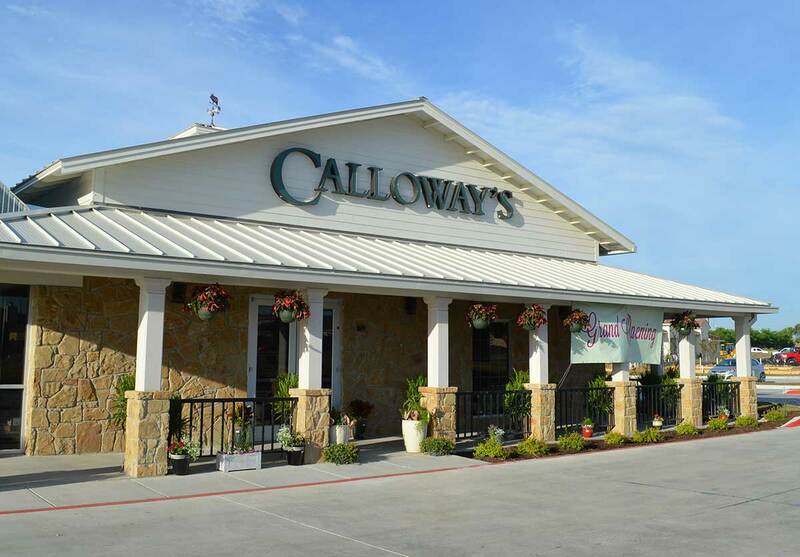 Come to Calloway’s Nursery in North Fort Worth, conveniently located off I-35W, for a wonderful selection of flowers, plants, trees, and shrubs for your home and garden. Come find your inspiration within our curated plant selection, chosen for superior performance in Texas gardens. We can’t list every plant we carry, but you can use our online catalog of plants to get detailed information on many plants we offer. You’ll also find decorative items like fountains and imported pottery, as well as seasonal decorating ‘must haves’ like gourds and pumpkins for fall, and poinsettias and fresh Christmas trees for the holidays. Readers of Living Magazine Keller selected Calloway’s as Best Nursery/Garden Center in 2017. “This is the MOST amazing nursery in the area. I have shopped at other “wanna be” not far away….by far Calloway’s is “hands down” sells a better product. Staff is knowledgeable and friendly…unlike the other place. The is the ONLY nursery in North Fort Worth I will shop!!!! Don’t let the other places fool you.” - Lab L.
"Highly recommend this Nursery!! Huge selection, very clean, organized, and most importantly a amazing team of hard working, extremely sweet and knowledgeable employees!! " - Mariah P.
Greg is a Texas Master Certified Nursery Professional, the highest level of recognition awarded by the Texas Nursery and Landscape Association (TNLA). Atticus is a Texas Master Certified Nursery Professional, the highest level of recognition awarded by the Texas Nursery and Landscape Association (TNLA).